Usually, when we buy something, especially fashion related stuff, their are certain adjustments we wish to make in the items to make it just the one we had desired for. 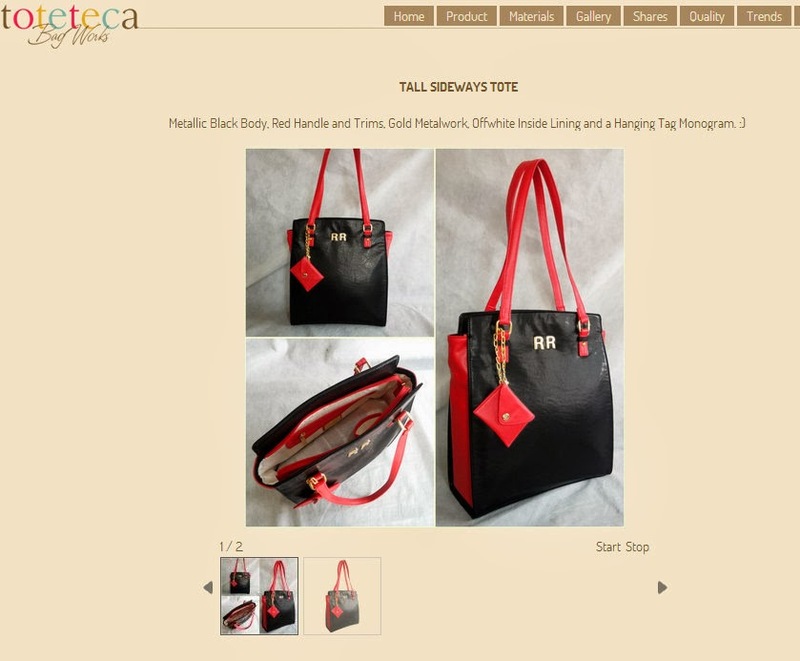 How ever, that's just not possible all the time- and I said "not possible all the time" which means that, I'm gonna tell you one way or rather one place where it is possible- TOTETECA.COM where, in just four super easy steps, you can design the perfect bag that you wish for & make it yours! Our goal is to create a " bag library " of sorts where people can select bags in any color and combination to create a bag that is truly unique. They ship INTERNATIONALLY & that too for free! I chose this lovely Tall sideways tote which can be used both as a casual & formal bag. The original piece was burgundy & black which itself looked great but I was eager to play with the colors and designs! After trying out a number of combinations, I went for the classy & versatile black & red combo with golden details. The beautiful metallic golden just blooms on the black & red! The inner part, I chose to keep the lightest of light keeping in mind the dark outer body. Lastly, there is an option of adding a monogram to your bag, a maximum of two letters initials & mine had to be RR- Rakhshanda Rizvi! Finally, just make the payment & place the order! It arrived, carefully packed, in a few days and I was so impressed to see the bag, precisely as I wanted! Once your bag is prepared, they even send you various pictures of the bag which is really nice on their part! It is also featured on their website, just as mine is! Overall, I'm very satisfied with this website! Would love to shop from here again and I highly recommend you guys to check it out too!